What Does Code P0833 Mean? On manual transmission vehicles, the engine control module (ECM) monitors clutch and gear position to fine-tune engine performance and fuel economy. Additionally, clutch and gear position are needed for engine starting, cruise control operation, and possibly a remote engine starter. 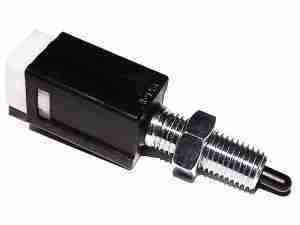 Regarding clutch position, there may be one or two clutch pedal position (CPP) sensors, depending on vehicle design. While the clutch pedal has a range of motion, between fully-released and fully-depressed, the ECM generally needs to see the clutch at either of those two positions. When the ECM determines the clutch is fully depressed, it enables engine starting and may modulate engine speed, such as for rev-matching upshifts and downshifts. When the cruise control system detects the clutch is fully released, it enables cruise control function. The ECM can monitor CPP sensor function by analyzing other parameters, such as gear position, throttle position, engine speed, or vehicle speed. 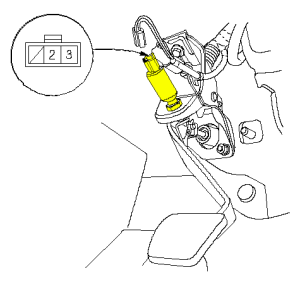 For the purposes of this discussion, we’ll be referring to the clutch pedal position sensor detecting the clutch pedal in the fully-released position, usually sensor “B.” Depending on the vehicle, this may or may not be the same switch that enables engine starting, so check your repair manual to be sure. If the ECM detects a problem, such as not detecting the clutch pedal fully-released, even though other engine parameters indicate that it is released, the ECM sets diagnostic trouble code (DTC) P0833, “Clutch Pedal Position (CPP) Switch “B” Circuit,” and illuminates the malfunction indicator lamp (MIL). Cruise control function also gets locked out. What are the common causes of code P0833 ? Depending on year, make, and model, DTC P0833 may have number of causes. Here are some of the most common. Riding the Clutch – Some drivers tend to keep their foot on the clutch, even when they intend to have it fully released. This is often due to old habits, poor training, or perhaps finding themselves in stop-and-go traffic situations. With a foot on the clutch pedal, even if only slightly, this may prevent the CPP from seeing that the clutch is released, leading to an erroneous DTC P0833. General Motors – Aside from riding the clutch, some TSBs suggest that the ECM itself may not recognize CPP switching in rapid succession. For example, if you press and release the clutch a few times, the ECM may recognize the first few switches, but then get “stuck,” failing to recognize further switches, which can throw a false DTC P0833. What are the symptoms of code P0833 ? Aside from the MIL and inoperative cruise control, you may not notice any drivability problems. On some vehicles, you may notice abnormal engine speed with the clutch depressed, or you may even be able to start the engine without physically depressing the clutch pedal. Vehicles equipped with remote starters could be dangerous if exhibiting the latter condition. How do you troubleshoot code P0833 ? A scan tool, with live data streaming, may be helpful in diagnosing this problem, but a DVOM (digital volt-ohm meter) will give you the most stable results, the reason being that the scan tool can only show you what the ECM is seeing, not what the clutch pedal position switch is actually doing. The CPP sensor is typically a contact switch, that is, only returns an “On” or “Off” signal to the ECM, so you can use your DVOM set to resistance or continuity (convenient because it usually beeps when you have continuity), to test CPP Sensor “B.” A current repair manual and electrical wiring diagram will give you the exact location and circuit diagrams to properly diagnose this problem. All circuit checks should start by making sure that all connectors are properly seated and that there are no bent or backed-out pins, nor evidence of water intrusion or corrosion. Any of these problems can increase resistance to the point where the ECM no longer recognizes the signal. Repair as necessary. Engage the parking brake and disconnect CPP Sensor “B.” Connect your DVOM, set to measure continuity or ohms, and measure sensor response with the clutch pedal depressed or released. Check your repair manual to be sure if it should read open or closed in each position, that is, some CPP sensors may close the circuit (0 Ω) with the clutch pedal released, while others might open the circuit (∞ Ω) with the clutch released, and vice-versa. If resistance does not change with the pedal depressed or released, you may have a switch problem or an alignment problem. If it is accessible, repeat the test by engaging the CPP sensor itself. Remove for testing, if needed. If the switch is adjustable, it may need to be positioned closer to the pedal. Otherwise it may need to be replaced. If the switch is internally shorted or open, it will need to be replaced. If you measure proper resistance across the switch in each position, you may have a circuit problem or a driver problem. Reconnect the CPP sensor and disconnect the appropriate ECM connector. Repeat the resistance check from the ECM connector. If resistance does not change with the clutch pedal depressed or released, you most likely have a problem in the wiring harness. Aftermarket remote starters may also interfere with this signal. Disconnect the CPP and recheck. If you have a short circuit or any kind of resistance, it will interfere with the CPP signal. Repair as necessary. If resistance changes as expected, it’s quite possible that the ECM is reporting a false circuit problem, usually due to driver error. “Riding the clutch” is the most-common problem, since the ECM has determined that the clutch is “released,” but the driver is keeping the pedal just off the switch. This often happens in stop-and-go traffic, such as in a construction zone or rush hour. The ECM doesn’t see the signal, so it sets the DTC. P0833 Trouble code on a 2010 Ford Focus. Cruise is working fine, and vehicle starts and runs without problems –it doesn’t appear that the clutch pedal position switch is malfunctioning. I have erased the code (several times but removing the battery cable.) I have replaced the electronic throttle body, and retrained it, and the wrench icon comes on consistently after 30-60 seconds after driving (usually when I shift from 2nd to 3rd, but not always.) What do I need to look at next???????? We’ve recently posted a troubleshooting article for P0833. The thing you have to keep in mind is that there are two clutch switches. One switch detects when the clutch is depressed, and the other detects when the clutch is released. The problem switch is the latter. Getting both P0830 and P0833. Is that common and do I need to replace both? Are you sure the switch is connected? Don’t just jump to replacing switches. You might end up wasting your money. It’s possible that you have a common ground problem, since both circuits are affected. BOTH switches going bad at the same time is highly unlikely. Also, Circuit A and Circuit B might be in same switch, but you have to find an EWD for your vehicle to be sure. P0833 Code on my 2007 Cobalt SS. When I reset the code, it drives fine for about 2-10 miles and then the symptoms arise without a check engine light. Symptoms are loss of cruise control and idol hang up while shifting. Ive tried cleaning the TB and Ive replaced the Clutch switch. Could this be false DTC p0833? What are the ways to fix? Ive ordered a new clutch switch , so when it gets here, is there a way i can install it myself by clearing the data via removing the battery cables? Nissan note 2010 model hand brake warning light Staying on have checked brake fluid OK have checked handbrake switch that’s OK had it on diagnostic machine it says clutch pedal switch! Not sure what “thermos plunger” is? Seeing as you’re not getting a “Circuit High” or “Circuit Low” DTC, I’m thinking maybe the clutch switch isn’t seated properly in the holder. Basically, the engine and transmission controllers think the clutch is always depressed (he’s got so much to live for!) I’d check to see that the clutch switch plunger has minimal clearance when installed and the clutch released or that it’s installed at all. These things are held in by plastic retainers and can be brittle. I’ve also seen where the cushion on the clutch pedal has fallen out, increasing the clearance so it never sees when the clutch is released.